Reducing food waste – whether at the farm, during transport or at supermarkets – is increasingly seen as an important element for global food security and environmental protection, and can contribute to the fight against hunger. Addressing food waste is part of the UN Sustainable Development Goals, whose aim is to “halve per capita global food waste at the retail and consumer level, and reduce food losses along production and supply chains by 2030”. On an EU level, food waste prevention is part of the European Commission’s new Circular Economy Package to stimulate the bloc’s transition towards a more efficient use of resources. According to the EU executive, approximately 88 million tonnes of food are wasted annually in the EU, with associated costs estimated at €143 billion. To help tackle the issue, the EU has decided to enhance its cooperation with food banks, non-profit organisations which collect surplus food from donations, growers, processors, caterers, and retail stores. Apart from surplus, food banks can also collect items that are not purchased by shop owners, for example, due to early expiration dates. Another frequent case is the partly ruined packaging of products (mainly during transportation) with the inner item not having been affected at all. Food banks focus on products, which are ready for consumption and do not need any kind of processing. Founded in 1986, the European Federation of Food Banks (FEBA) brings together 264 food banks in 22 European countries. In 2014, FEBA managed to distribute 411,000 tonnes of food equivalent to 2,25 tons per day. FEBA launched a new guide last week to encourage and make it easier for food manufacturers and retailers to donate their food surpluses to food banks. The guide was put together in collaboration with FoodDrinkEurope, the EU food and drink manufacturers association, and EuroCommerce, representing the retail and wholesale sector. The guidelines provide businesses with practical information about donation procedures and promote the social role of food banks. Harry Gschwindt of the Brussels Food Bank said that his organization works exclusively with volunteers. He stressed that no trade was involved in the food it receives, and in the event that partners mishandle products, cooperation automatically ends. “We receive everything for free, we give it away for free […] our partners cannot re-sell the products either,” he noted, adding that strict safety rules are applied before the distribution of the products. He emphasised that there was a high level of food safety checks in the process, as products carry a label of food enterprises and thus, it is in no one’s interest to provide unsafe food. “Only 1.2% of the food products received last year had to be destroyed,” he pointed out. He also noted that charities sometimes face transportation issues and added that without processors, manufactures and industry “we will not be able to survive”. Among the main challenges the Brussels Food Bank is facing, he cited the need for more volunteers, as well as people who retire from the agri-food industry and experts in the field. Referring to the new food donation guidelines, President of Kellogg Europe Chris Hood told euractiv.com that the main objective is to help businesses realize that there is a need to create a culture where donating surplus food “is the norm rather than the exception”. “For this culture to thrive, we needed to complete the loop and tell the stories of how our food helps people- and for that to happen, compelling internal communication is the key,” he stressed. In 2015, Kellogg donated 36 million 30 gramme servings of food, to food banks in 18 countries. “We need to recover more nutritious food to support more vulnerable people and better. I hope than an increasing number of food businesses will adopt those guidelines and engage with our food banks to take proactive steps to support those experiencing poverty”, Patrick Alix, Secretary General of FEBA, stressed. “We are all committed to making sure that wholesome and nutritious food is not wasted. 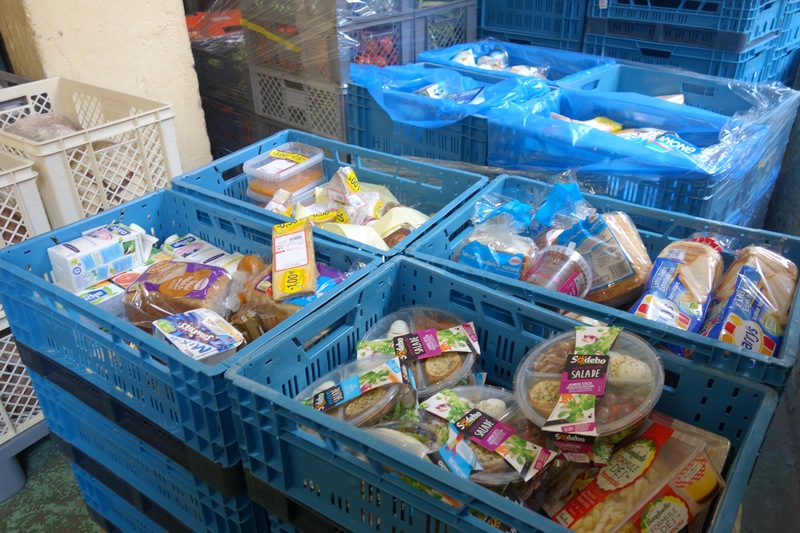 Not only do our members donate to food banks and other social organisations; many of them help food banks and charity organisations with logistics,” Christian Verschueren, Director-General of EuroCommerce underlined. “These very useful guidelines show how best to donate food, and many examples of good practice. We hope that these will inspire others to follow the path many retailers and wholesalers have already adopted,” he added. There would appear to be perfect logic in redirecting food products from waste streams into feeding the poor. It appears to fit well within the Circular Economy model. Moreover, it is supported by some genuinely philanthropic and socially-engaged people who give generously of their time as volunteers in food banks. However, there are some profound problems with this approach. First, it continues to support the process of massification of food, in which volume of output remains the prevailing raison d’etre of the food system over dietary health. As the article reminds us, “food banks focus on products which are ready for consumption and do not need any kind of processing” (ie cooking). Food banks are consequently in the business of distributing to their clients highly processed foods which are often high in salt, sugar and fats and, while they might assuage hunger, do not deliver long-term nutritional well-being. Secondly, the growth of food banks across Europe should not be regarded as an ‘achievement’ or success story, but as a source of shame, for how can large numbers of citizens be said to be food secure when they lack the dignity to choose their own foods and where charitable provision does not conceal the absence of a guaranteed human right to food. Finally, the halo effect provided by these donations should not disguise the fact that the food industry has a great deal more to do if it is to be regarded as working towards sustainability which should begin by critically evaluating the nutritional benefits and environmental consequences of many of its mainstream products. Getting more fresh produce into charity food boxes would be a good start.